Before becoming a Scrum Master, I had worked as the technical lead on a number of teams. Part of my job on those teams was to make decisions. And I think I did it well. Being decisive and assertive is part of my personality. But those personality traits didn’t serve me as well once I became a Scrum Master. I realized that to succeed as a Scrum Master, I needed to shift from making assertions toward asking more questions. Because that wasn’t my natural style—and it wasn’t what had earned me any success I’d had through that point in my career—I struggled at first. But with persistence I got better at asking questions. I’d like to share with you some of my favorite questions to ask. Most of these can be asked of a team whether you are a Scrum Master or a product owner. I’m not looking for an estimate. But if I asked for an estimate, what unit pops into your minds: Hours, days, weeks, months, or years? Yes, I know those units overlap—many weeks can be more than a month. But getting an estimate from a team like, “Oh, weeks, a few weeks,” is often good enough to make a decision, including perhaps the decision to ask the team to formally estimate the work in a more thorough way. How confident are you in that estimate? What you’re looking for here is both the degree of confidence and whether team members agree. An estimate in which most people are 90% confident will be more likely to be accurate than one where confidence levels are all over the place and tend to be lower. Disagreement among team members in their confidence in an estimate may also indicate the team rushed to create the estimate. That may be fine but consider the estimate to be less reliable. What are three other options you considered before making this decisions? What’s the worst thing that could happen if we pursue this direction? What has to go right for this to be the best decision? You probably don’t want to ask all three of these questions. And don’t ask the same questions about every decision a team has made. Also, you aren’t asking these questions because you (as a Scrum Master or product owner) have the right to overrule the team’s decision. But, you do have the right to understand how confident the team is in a decision and how aligned they are around the decision. These questions are designed to uncover disagreement. If you ask “What has to go right for this to be the best decision?” and someone says, “Everything!” that may indicate a problem. I really dislike meetings. If I were dropped in a corridor with snakes at one end and a meeting at the other, I don’t know which direction I’d run. Do we need everyone who is here now? Should anyone else be here? If people on your team are being overzealous in their meeting attendance, thank them for their commitment to working collaboratively but assure them they don’t need to attend every meeting. Establish a team norm that team members should not participate in a meeting if they won’t add or receive sufficient value. And, along those lines, the second question above will help identify if someone absent from the meeting should be there. Yes, as much as I hate meetings (I’d probably run toward the snakes), sometimes we need to include more people. Err or the side of too few meetings and too few people, but some meetings are worth having. And those meetings are made more valuable by having the right participants. Especially when working as a Scrum Master, I spend a lot of time dropping in on conversations. It’s what is traditionally known as management by wandering around. For example, if I see a programmer and tester having what seems to be an important conversation, I might walk over and listen in case I can help with anything. Does anyone else need to know about this? If so, I’ll offer to be the one to go share the information if I can. If not, I’ll offer to go get the person so they can be included right away. During a daily scrum, I’ll often look at a team’s sprint burndown chart and wonder how they’re going to finish everything by the planned end of the sprint. But when I ask this same team if they’re going to finish everything, the response is usually that they will. What do you know that I don’t know? Asking a team what they know that I don’t creates a great opportunity to synchronize assumptions. Perhaps they are assuming things will speed up and I’m not. It’s a great question for uncovering different assumptions. When I first became a Scrum Master and hadn’t yet learned the power of questions, I often missed learning things about my teams and their work. Only after a while did I discover that the best way for me to learn things was to ask a question and then truly listen to the answer. I hope you’ll find these questions as useful as I have. What are some of your favorite questions to ask teams? Please share your thoughts in the comments section below. Mike Cohn specializes in helping companies adopt and improve their use of agile processes and techniques to build extremely high-performance teams. He is the author of User Stories Applied for Agile Software Development, Agile Estimating and Planning, and Succeeding with Agile as well as the Better User Stories video course. 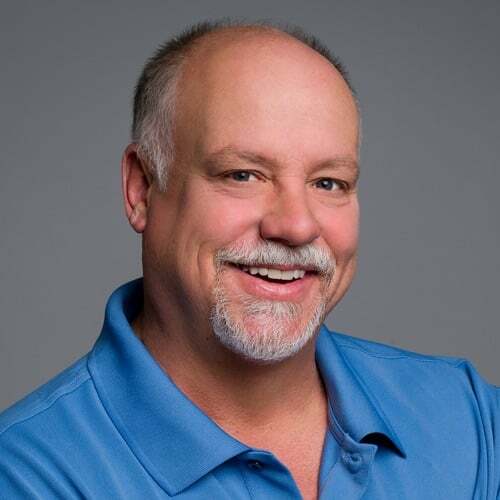 Mike is a founding member of the Agile Alliance and Scrum Alliance and can be reached at [email protected]. If you want to succeed with agile, you can also have Mike email you a short tip each week. It’s important for most agile teams to estimate both their product and sprint backlogs. But why? Succeeding with Scrum is easier when you know when and why to conduct each ceremony during the sprint. Copyright ©1998-2019 Mountain Goat Software. All Rights Reserved.